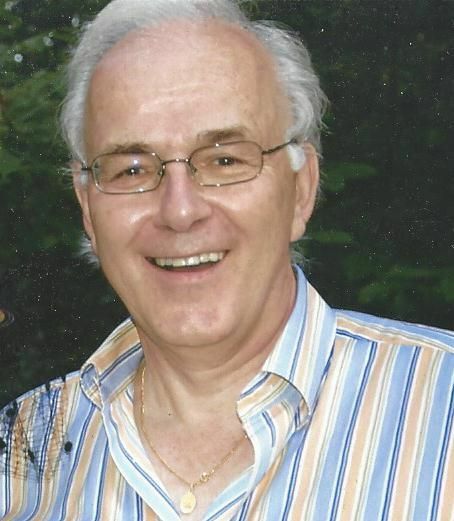 Obituary for Jean-Paul Richard | Cronrath-Grenoble Funeral Home, Inc.
On Monday May 21, Jean-Paul Richard peacefully passed away in Geisinger Medical Center after an illness of more than three years, with his family by his side. Jean-Paul was dearly loved by his families in France and in the US. From the first time the two families met, a closeness developed that allowed each to cherish these visits and now the memories. Strong ties developed which overlooked the distance and the culture. Jean-Paul was born in Alsace-Lorraine, France on February 7, 1943. After completing his formal education in France in 1966, he came to the United States on a Fulbright Scholarship receiving a PhD in Mathematics Operations Research from Stanford University. In 1971-1973 Jean-Paul served in the French military. In 1976, he began his US career with several corporations. In 1998, Jean-Paul founded Pro-Mach (which manufactured equipment for the packaging industry) and in 2006, H-E Parts International (which manufactured components for the mining industry) both based in Atlanta, Georgia. During these years, Jean-Paul and Bernadine (Nace) Richard, Jean-Paul’s wife of 30 years, resided in England UK; Memphis, Tennessee; and Atlanta, Georgia. In 2015 when Jean-Paul retired from the business world, they decided to return to Bernadine’s hometown of Lewisburg. Dedicated and highly successful in the corporate world, he was also a passionate patron of the arts, an avid reader, and a highly knowledgeable student of music, history, and politics. While at home, he enjoyed his art collection and his gardens; but also enjoyed traveling abroad which often included a hunt for fine European antiques. He was a formidable debater on these and other topics including the best French desserts. In addition to his wife, Jean-Paul is survived by one sister and a brother-in-law Danielle and Roger Semanaz, a niece Caroline Faure and her son Romain, two great nephews, Maxim and Paul Blin and their wives, all in France; and three children Denise (Adams) Skotedis, Craig Adams and wife Shelly, Jody Adams and wife Laura, and five grandchildren, Alexander Skotedis and wife Natalia, Ryan and Whitney Adams, Grant and Elijah Adams, and two great-grandchildren “the little people,” Aleksa and John Skotedis. Jean-Paul will be sadly missed by all. Jean-Paul was preceded in death by his parents, a brother, a niece, and a son-in-law, John Skotedis. A Celebration of Life will be held at 11:00 a.m. Saturday June 23, 2018 at Christ’s Evangelical Lutheran Church, 100 South Third Street, Lewisburg. A service will be held at a later date in Atlanta, Georgia. In lieu of flowers, donations in Jean-Paul’s memory may be made to the charitable organization of your choice or to T&D’s Cats of the World, P.O. Box 186 Mountain Road, Penn’s Creek, PA 17862 or checks made out to Trustees of Columbia University for MDS Research, Dr. Azra Razza, 177 Fort Washington Ave. Room 6GN-435, New York, NY 10032.